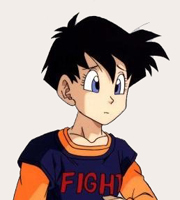 Saiyans are an extraordinary, barbarous and powerful race. They used to live on a planet called Planet Vegeta, until Freeza destroyed it. I think it is obvious who the humans are. All the people who are native to Planet Earth. 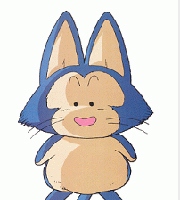 Nameks are a race of people who lived on Namek. 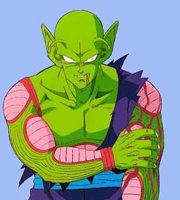 Planet Namek was destroyed by Freeza when he was fighting Goku. They are a race of green people, with pointed ears and 2 antennae on there head. 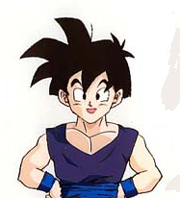 Dragons are a race who can grant wishes when you collect all seven of the Dragonballs. 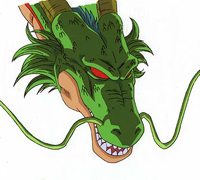 The 2 main dragons are, Purunga, the Dragon of Namek and Shenron, the dragon of Earth. There are also 7 evil dragons who are formed when the 7 Dragonballs are over used and the good chi is used up and the evil Chi turns into evil dragons. One for each Dragonball. Changelings are a race who can change their form. 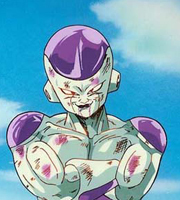 Freeza and King Cold are two examples of this race. 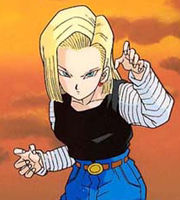 The change form in battle, and massively increase there fighting power and speed. Aliens are any other person who does not fit in any of the previous categories. It also includes the people who are aliens.